Apple introduce new MacBook Air models in black Color, New MacBook Air will include the new Thunderbolt connectivity standard with high speed and based on Intel’s Sandy Bridge platform. New MacBook Air models will be enhancement over Core 2 Duo platform for High speed of Performance. 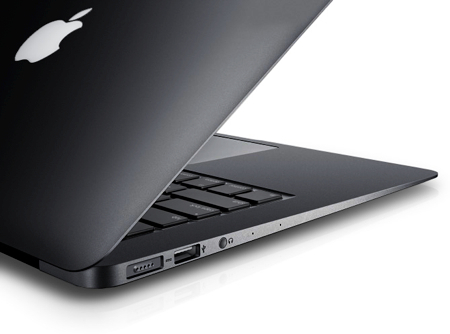 MacBook Air will be available with a black Color, Apple will be using black anodized aluminum case for New MacBook Air. Mostly they will be Releasing this new MacBook Air in black Color in July 2014.